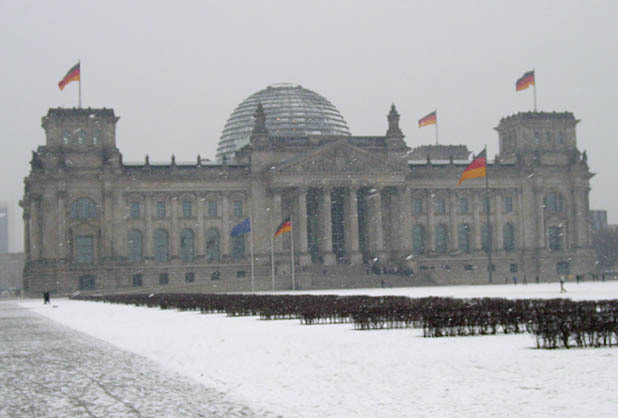 The Reichstag in the snow. 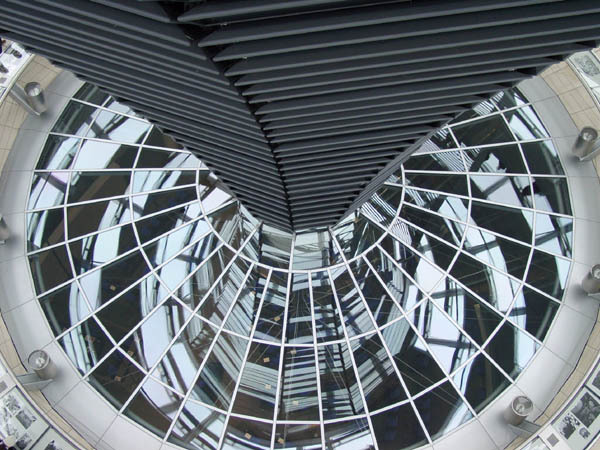 The walkway spiralling up the inside of the cupola. Looking down from the top of the cupola.